Large pores on the face look extremely unsightly: they accumulate dirt and cosmetics, skin seems to be uneven. In most cases, holders of such problems visually seem to be over. To cope with this defect, one can learn how to conceal large pores. Get rid of wide pores at home is almost impossible, despite the assurances of manufacturers of cosmetic products. Of course, in your power slightly to minimize the scale of the problem. Proper care will make your pores completely invisible, but will significantly reduce them, and then manipulation to disguise will need much less. First of all, avoid funds with a heavy, oily текстур6ами that "mechanical" stretch the pores. All kinds of oils and nutrient creams can certainly be useful for the skin, but it will exacerbate the problem since. Use makeup, tightens pores mask with clay, serums, tonics. You need to understand that most of these products do not possess a cumulative effect, so using them is advisable before applying makeup. In recent years, in the media there is too much information about the dangers of silicone in cosmetics. To argue with these statements difficult, but unfortunately, this ingredient allows a number of means to mask enlarged pores. However, do not despair: the harm silicones somewhat exaggerated. If your skin does not responds to such products rashes, you can safely use them. Most importantly – thorough cleansing of the skin in the evening. 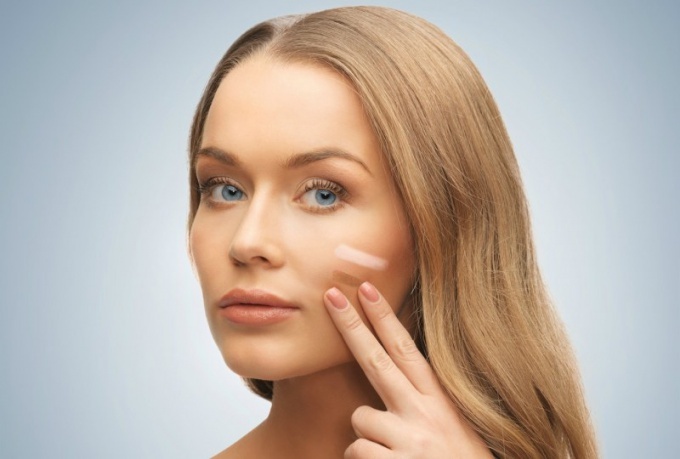 If you want to hide enlarged pores with just one cosmetic product, it must be concealer. When choosing, consider a few nuances. Too liquid looks most natural, however, your pores probably will not hide. Moreover, such textures can "fall" into the pores during the day and make them more visible. Choose a concealer of medium texture. Apply it with a brush so the product will be distributed as uniformly as possible and cover every inch of your skin. The majority of cosmetic brands have separate funds that are designed to smooth the skin and disguise large pores on the skin. First of all, this makeup base. Most often it is a transparent substance, which is colorless. It fills irregularities on the face, making it visually more smooth. Applied over any base of Foundation lie better and hide imperfections. The least popular BB creams and CC creams. This multi-functional tools that solve many problems at once. They moisturize the skin, protect from ultraviolet rays and usually have an impressive covering power. The coating is quite dense and requires a special two-phase rinsing with oils and cleansing foam. Finally, the most efficient means - correctors for long. The product is a fairly dense texture. It is recommended to be applied all over the face, but only on those areas where enlarged pores are expressed the most. Has the "photoshop effect", smoothing out even the biggest bumps. However, this property is, of course, do not benefit the skin, so the correctors is not recommended to use constantly.